I am looking for a QC Welding Inspector for full-time duration of 3 months in Klang. If interested, please email your CV to pep.sutaratada@sgs.com and I will call you back at your convenience. Just to recap the same, our company is urgently looking for two (2) welding inspector (one inspector at least) to perform (full time) weld summary sheet (WSS) check and ensure accuracy of the records for final dossier submission prior commissioning. We anticipate more than 160 WSS to be checked, with average of 100-150 welds each with expectation to complete progressively by now to end Feb-2014 or Mar-2014. The job also include liaison with our clients and internal team to resolve issue pertaining to the records accuracy, completion, checks and on-time submissions. We also expect the person to walk into the project site for verification and understand better the situation where weld summary accuracy is concerned. He/she also need to maintain a master list of all weld summary and monitor all weld summary up-to-date, submit to client for sign-off on time. The function is of short-term basis (~3 months), based full time in Telok Gong site and work on Saturday where required, and can mobilize to the site immediately upon confirmation. 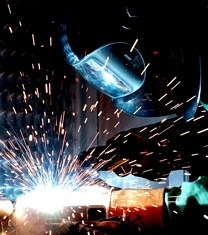 The person need to have sound knowledge in welding codes, hands-on welding inspection, able to read complex engineering and detailed structural drawings in order to facilitate checking on consistency with joint type to the design requirement, and to the correct welding procedure. The person shall also has good knowledge in using Microsoft Office, particularly Excel as he/she will rely on the spreadsheet to perform checkings. Please review the above and confirm you are interested on this position. Let me know your expected daily rate. Hope your course is going well. Petrotechnical Inspection (M) Sdn. Bhd.